When wine folk get together to chat about crisp, dry white wine, one adjective invariably pops up: minerality (technically it isn't even a word). Minerality doesn't refer to wine's nutritional value, rather it refers to scents and flavors that conjure up images of fizzy mineral water, damp stone, rocky soil, mountain springs, chalk and Alka Seltzer. I normally assign wine with minerality into one of two categories: The mineral water/Alka Seltzer/chalky-salty category, or, the damp stone/rocky soil/gothic cathedral category. Wines in the mineral water category possess sharp, jagged mineral scents. Take a whiff of Perrier to catch my drift. On the other hand, damp stone wines offer up softer, subtle mineral scents. Think: strolling down a cobblestone road after a light rain. Let's tackle the "mineral water wines." "Can Feixes Blanc Seleccio reminds me of a lime spritzer – crisp, refreshing and great with food. This straw colored wine is full of fresh springtime aromas of citrus, fresh-cut grass and minerals. In the mouth it is light bodied with well-balanced crispness." A few days ago, I was able to sample this wine (same vintage) once again. The overtly aggressive spritzer-like quality has subsided. Can Feixes is now more akin to a slightly flat bottle of mineral water with a citrus twist. However, in the mouth, it is still amazingly crisp, with citrus flavors and a slightly tart yogurt/yeasty character. This wine makes me long for a plate of oysters on the half shell. No lemon squeeze needed. If you've ever been confused about minerality in wine, grab a bottle of Can Feixes and implant these scents and flavors into your memory bank. The current release of this wine is imported by Classical Wines of Seattle. It is available for purchase online. Why is Can Feixes Blanc Selecció replete with minerality? Some may say it's due to the vineyard conditions - cool foothills and chalky-rocky soil. Others might maintain it's how the wine was made - fermented in stainless steel tanks and afforded extended yeast (lees) contact during maturation. Perhaps it's the grapes - a blend of two native Spanish whites, Parellada & Macabeo, and Chardonnay. My guess is that this wine's mega-minerality stems from all of the above. Next up: Wine with damp stone/rocky soil/gothic cathedral minerality. Clare - try this fun experiment: Set a glass of perrier alongside a glass of Can Feixes, Chablis or even an Aussie Verdelho. Then close your eyes and sniff one, then the other. You'll be surprised at the similarities. Takes two minerals water, le first one must be without salts, about 10ppm, like rain water. The second one must be with lot of salts, about 800 to 1000 ppm, for example Evian water or whetever. In the two waters, put inside a piece of sugar to get about 20 g/l. Why ? Because of minerality. And it's the same for biterness, astringency, alcool, and acidity. 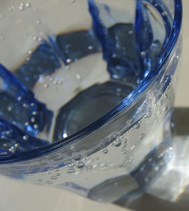 Mineral water is known as a safety and trusted drinking water. We known it since start that it is a mask to have one safe water to drink. It was a great article. I think this is a great way of teaching people how to have proper discipline in terms of water safety. This wine makes me long for a plate of oysters on the half shell. No lemon squeeze needed. So the minerality of a wine will be a good selling point? This is interesting. Is the hype really worth it? Or this is just another marketing idea of the wine companies? Hi to all, I just lucky found this piece of information obliging to me and my fellows. I am from Manchesters and looking for the guidance regarding this. It’s hard to find precise and implementable work experiences from the professionals.